Planning a romantic getaway to the beautiful Smoky Mountains of Tennessee? 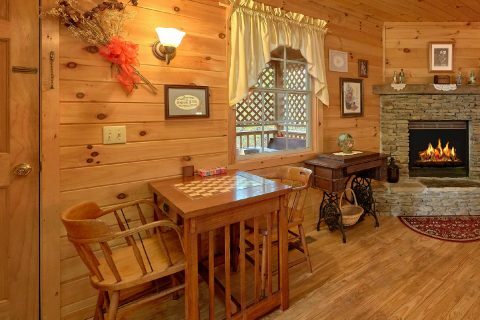 With "Gray's Place," a romantic 1 bedroom cabin in the Smokies, you can stay in an affordable cabin with a great location that's close to both Pigeon Forge and Gatlinburg, TN! 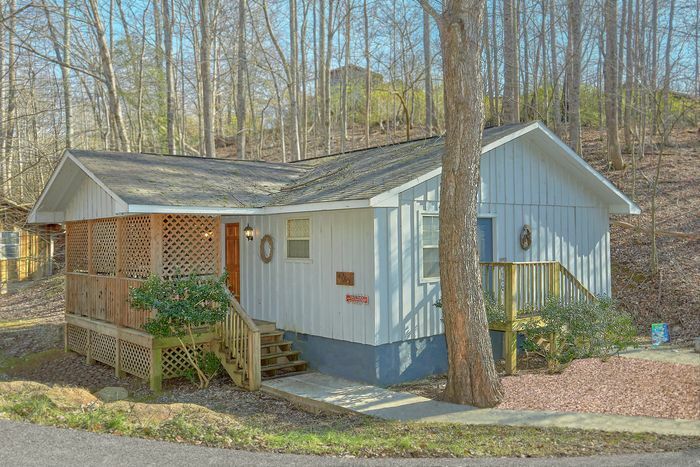 Since this 1 bedroom studio cabin rental rests less than 1 mile from the Pigeon Forge Parkway at traffic light #10, this cabin provides quick access to Pigeon Forge. 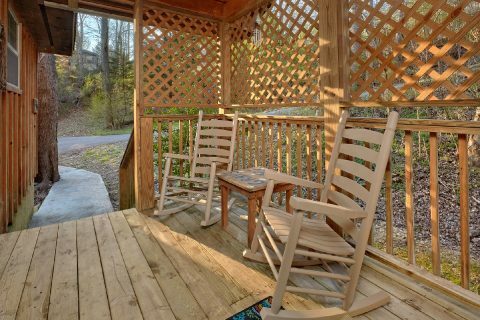 Additionally, this rental is only 6 miles from Downtown Gatlinburg, so guests of this rental can easily enjoy top attractions like Anakeesta and the Great Smoky Mountains National Park. 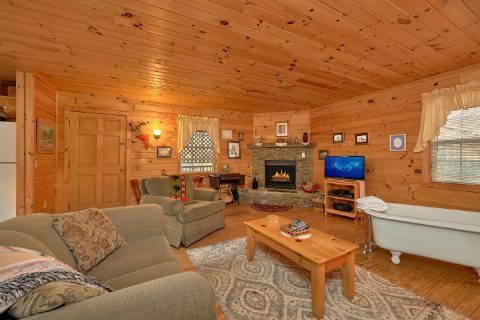 When you aren't busy enjoying the best the Smokies can offer, you'll love unwinding at this log cabin that boasts everything you and your sweetheart need to unwind. 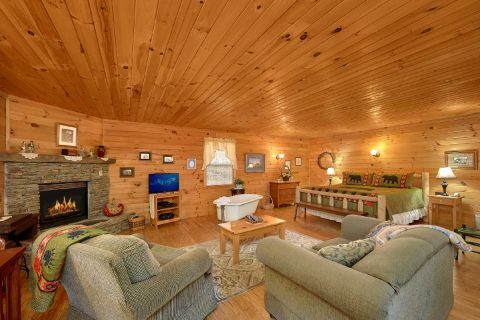 Step inside this cabin's main living area and you'll find a comfortable space complete with a warm, gas fireplace and a flat-screen television. 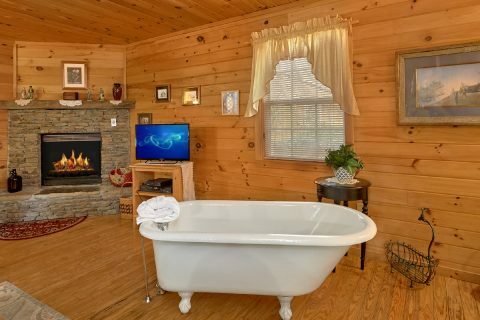 Nearby, there's an in-room bear claw tub for enjoying a soothing soak in privacy. 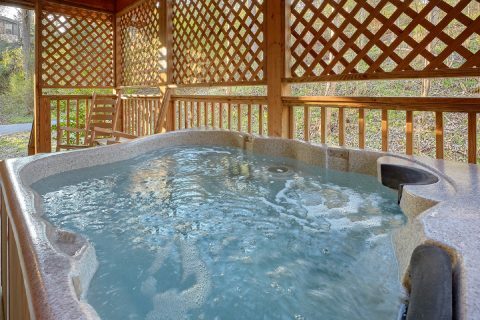 You can also step outside onto your cabin's covered deck to take a dip in the bubbling waters of your cabin's hot tub. 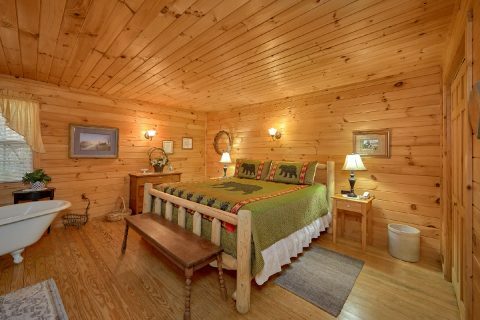 Once you're ready to get some rest before your next day's adventures, you can look forward to sleeping in this cabin's king-size bed. 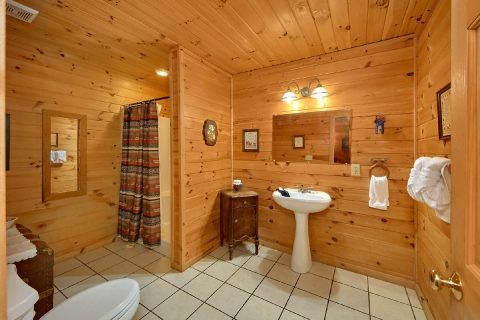 Lastly, you'll also enjoy practical features like this cabin's charcoal grill and washer & dryer. 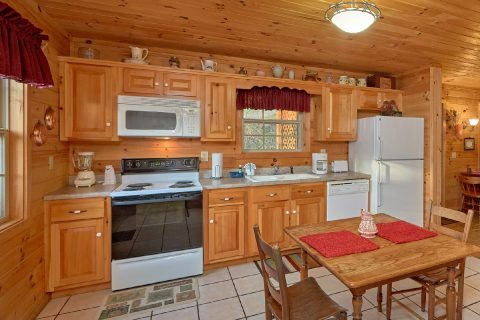 Additionally, this cabin provides a full kitchen, so you can make cost-effective meals during your stay! 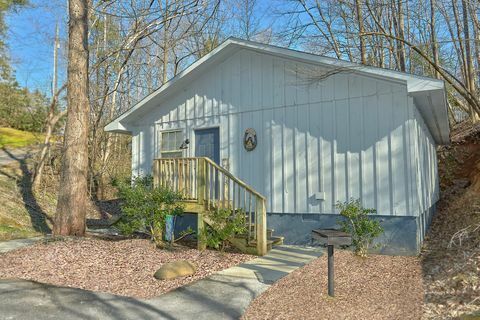 Book this affordable honeymoon cabin that's between Pigeon Forge and Gatlinburg today with Cabins USA Gatlinburg to save 15% on your nightly rate with our cabin discount!